Capital Edge Consulting’s inaugural golf tournament was a success, honoring the country’s military heroes with all proceeds supporting the San Diego-based Warrior Foundation’s mission to help injured and disabled veterans in the San Diego Area transition to civilian life. 'Capital Edge Consulting has a history of supporting organizations dedicated to the warriors who have so bravely served and sacrificed for our country,' said Chad Braley, Capital Edge CEO and Managing Director. Capital Edge Consulting’s 2013 Charity Classic golf event provided a big boost to the Warrior Foundation, raising more than $17,000 to help the organization assist injured and disabled military heroes in the San Diego area, including those assigned to Naval Regional Medical Center, Camp Pendleton Naval Hospital, 29 Palms and Fort Irwin. 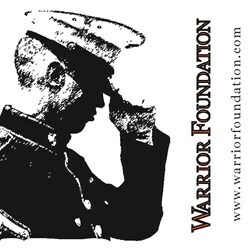 Warrior Foundation owns and operates a transitional housing facility called Freedom Station that is a leader in providing temporary lodging facilities and educational and career guidance to our nation’s injured and disabled military heroes who will be medically retired or discharged. Tournament events included 18 holes of golf in a four-member, scramble format; boxed lunches; various games, awards and dinner reception; silent auction; and a variety of prizes. The tournament was supported by 19 sponsors, including Wells Fargo, the tournament’s Silver Star Sponsor. Other event sponsors included JAMIS Software, Bank of America, Wawanesa Insurance, Amerit, and Enviremedial Services, Inc., BDO, Unanet, Reliable Wholesale Lumber, Federal Publications, and Adept Process Services. For pictures of the Charity Classic golf event supporting the Warrior Foundation – click here. Capital Edge consultants combine their unique backgrounds and experience in consulting, public accounting, industry, and DCAA to provide clients with unmatched government contracting expertise. This breadth of specialized experience enables Capital Edge to provide the exact services and level of expertise federal government contractors need to succeed. Capital Edge has worked with government contractors ranging in size from startup to Fortune 100 companies in industries such as manufacturing, nuclear energy, professional services, biotech/pharmaceuticals, defense, and software. To learn more about Capital Edge Consulting, visit http://www.CapitalEdgeConsulting.com. Capital Edge Consulting - Managing Risk. Delivering Results.Ad.Capital Edge Consulting - Managing Risk. Delivering Results.